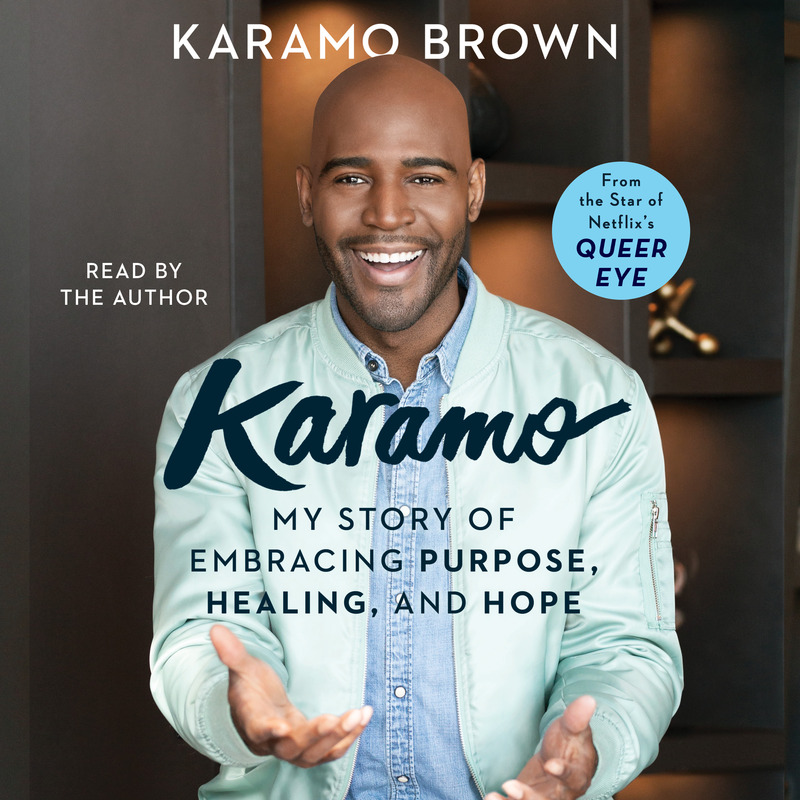 An insightful, candid, and inspiring memoir from Karamo Brown—Queer Eye’s beloved culture expert—as he shares his story for the first time, exploring how the challenges in his own life have allowed him to forever transform the lives of those in need. Karamo believes that culture is so much more than art museums and the ballet—it’s how people feel about themselves and others, how they relate to the world around them, and how their shared labels, burdens, and experiences affect their daily lives in ways both subtle and profound. Seen through this lens, Karamo is culture: his family is Jamaican and Cuban; he was raised in the South in predominantly white neighborhoods and attended an HBCU (Historically Black College/University); he was trained as a social worker and psychotherapist; he overcame personal issues of colorism, physical and emotional abuse, alcohol and drug addiction, and public infamy; he is a proud and dedicated gay single father of two boys, one biological and one adopted. It is by discussing deep subjects like these, he feels, that the makeovers on the show can attain their full, lasting meaning. Styling your hair and getting new clothes and furniture are important, but it’s imperative that you figure out why you haven’t done so in twenty years so you can truly change your life. In this eye-opening and moving memoir, Karamo reflects on his lifelong education. It comprises every adversity he has overcome, as well as the lessons he has learned along the way. It is only by exploring our difficulties and having the hard conversations—with ourselves and one another—that we are able to adjust our mind-sets, heal emotionally, and move forward to live our best lives. Karamo shows us the way. Karamo Brown, the culture expert on Netflix’s Queer Eye, is a former social worker and psychotherapist who was first introduced to audiences on MTV’s The Real World in 2004 and then continued to build their trust as a host on Dr. Drew Live, HuffPost Live, and Access Hollywood Live. He also founded 6in10, an organization that provides mental health support and education to the LGBTQ+ community. He lives in Los Angeles with his fiancé and two sons.